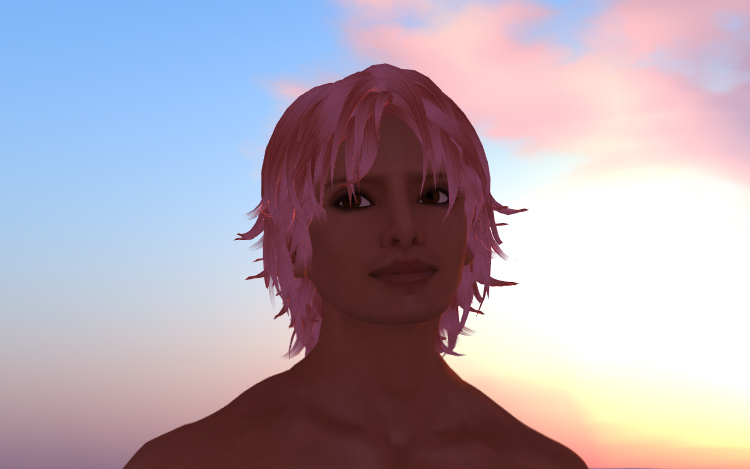 The still photograph, "Damian in Pink" was taken on the Tamita Island simulator on the Second Life virtual world in 2013. The avatar is Damian Topaz, who is one of the Princes of Irukandji. I created Damian's avatar which was originally blond - the pink hair was a brief camp phase :). I've always liked this photo. It's such a happy piece with Damian posed against the sunrise with an easy smile.